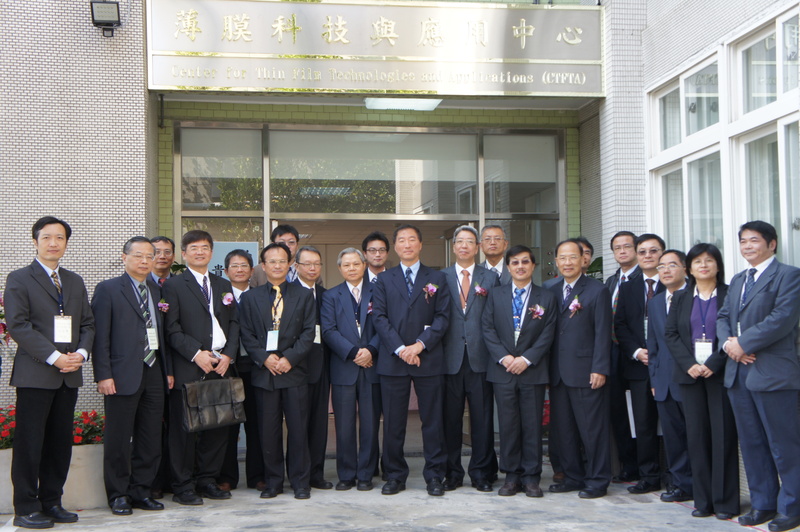 "Center for Plasma and Thin Film Technologies (CPTFT)", led by Dean Joe Hsieh of Ming Chi University of Technology, was approved in Jan. 2010 and established in Dec. 2010. Up to Aug. 2012, the CPTFT has been sponsored by a number of research grants from the government as well as from enterprises. The accumulated funding from those projects so far has reached over 35 million NT dollars. Faculty members of the CPTFT have published more than 100 SCI papers. It is thus projected that the CPTFT will be an important and well-known research center both in Taiwan and worldwide within the coming three to five years.